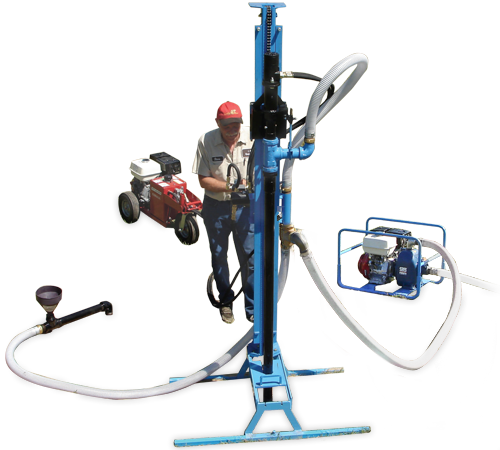 The LS300H Water Well Drill takes the hydraulic drill line to new depths thanks to a powerful 13-horsepower mud pump. 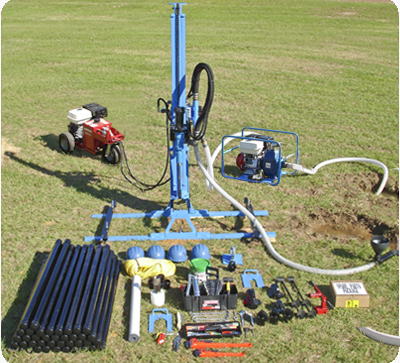 The water well drill features the same user-friendly design and hassle-free operation as the LS200H, but with a drilling depth of up to 300 feet. Its heavy-duty welded steel frame and re-enforced table base provide added durability while the drill’s powerful hydraulics delivers pull-back and push-down forces up to 5,000 pounds. 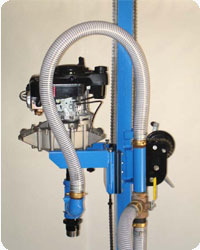 The rig’s three-way ball valve enables quick bypass mudflow when adding pipe, and the swivel base design moves the rotary aside to access the borehole.